I really love this model - yeah, like I needed to say that after posting this picture. But I'm kinda not embarrassed. I've got enough running shoes to get me through next year, so at least I'm set, and overall the money I've spent wasn't nearly what it could have been. But seriously, who am I with a shoe store in my closet? 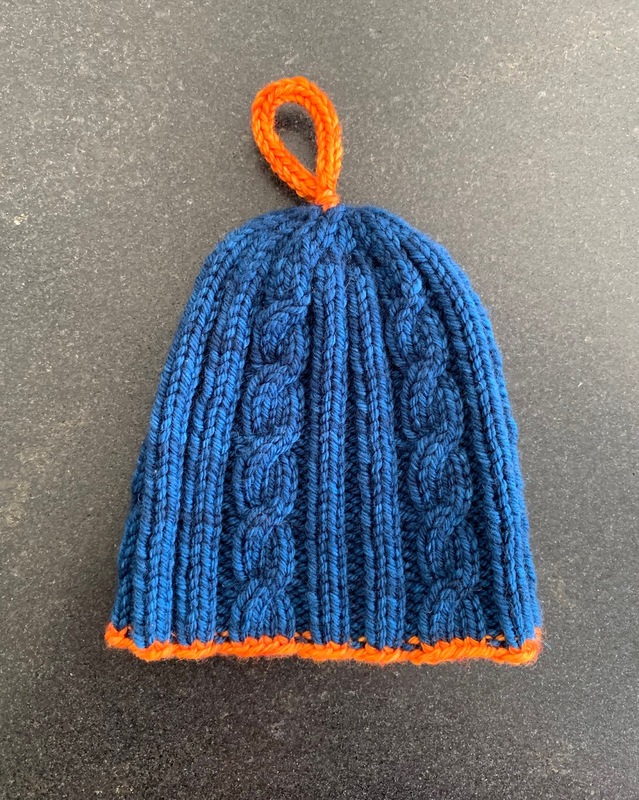 Pattern is Cable Baby, yarn is Malabrigo Rios, colorway Azul Profundo, with a splash of Madelinetosh DK, colorway Citrus. This blue is hard to capture, but basically it's both shades in these pictures, depending on the lighting. 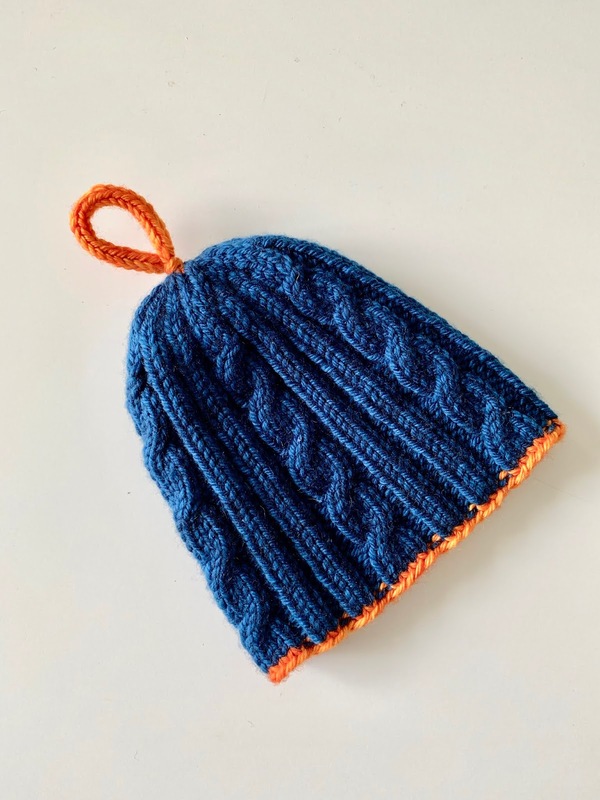 I made this hat for Diane's grandbaby who is due to arrive in May - I picked the blue because it's pretty, and liked the orange to go with it, and then I discovered that these are the colors of her son and daughter-in-law's alma mater, so it was perfect! Why yu gotta cone me mom? We are off to the races again tomorrow - it's a local 5K so we don't have far to drive this time. Have a great weekend! Aww, poor Paco! The cone of shame is the worst. Improve...what a line of BS. I hear more runners complaining about the improvement...the manufacturers just cannot leave well enough alone. A few years ago I found an incredible sale on the tennis shoes I wear for everyday use....I bought a ton of them and didn’t have to buy tennis shoes for two or three years! So I for one applaud your frugal and wise decision to buy the shoes on sale!!! And stocking on on a shoe that may not be around is an added bonus!! Glad to hear I'm not the only one who's done this! Poor Paco! Hope the cone of shame will be history soon. John is like you and your shoes only with travel mugs. He has so many travel mugs - and he doesn't travel much LOL! He cannot resist looking at travel mugs when we are out shopping. Jeff is like John only with jackets. It's funny what we each latch on to! Hope Paco heals quickly. That cone can't be any fun. If you know the shoe is "going away" and you LOVE it, it was smart to stock up. No shame! Yeah, Paco is OVER this cone. Do you have that shoe in a 9? Just kidding. I read as far as Paco had surgery and then I stopped reading and looked at the picture. His ear was missing! I went back to reading and was very relieved he didn't lose an ear. OMG I laughed at both of your comments! 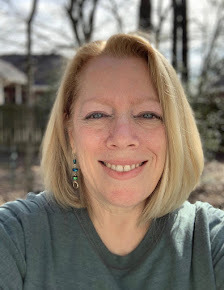 Diane is super excited - we all are...it's like the Renegades are getting a grandbaby, too! I've never done that with running shoes (yet) but in hindsight wish I had. The whole change the shoe a smidge and offer new colors thing is just annoying! Here's hoping Paco heals quickly and gets to be out of the cone. Bark! Bark! Having lost the Clifton 1 once, I am not ready to let them go again! Shoes are incredibly important for running, so stocking up was very smart...especially while they are on sale! Considering how often I pay full price because I'm in need (usually when something starts hurting that doesn't usually hurt - that's my sign that I need a new pair) - anyway, getting these for such a deal is really nice. Aww, I am glad Paco is letting you know he's better by barking at everything! 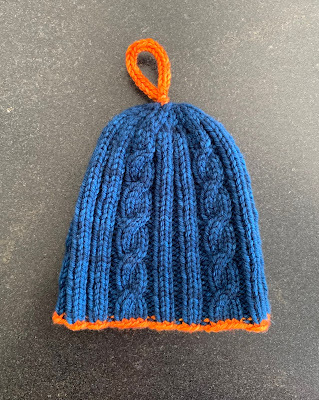 I love that hat, especially the orange trim detail! What the heck with getting things labeled wrong, ugh how frustrating! I tried the Cliftons on your suggestion and really liked them. I went to get a new pair and forgot which style it was and didn't want to tell the sales guy to wait while I looked up Shelley's blog on my phone, so I walked away with a pair of (more expensive) Bondis. 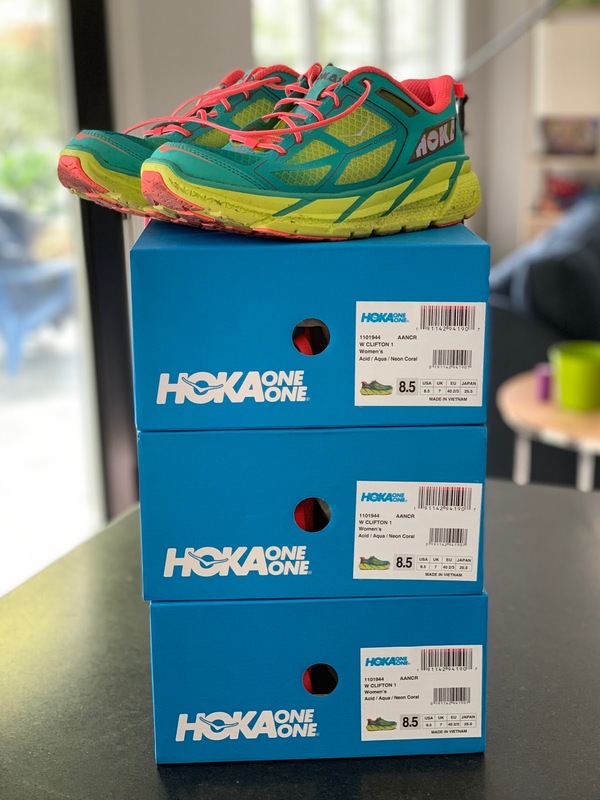 I will return them today and then snag one of those on-sale ones at Running Warehouse - my feet AND my shoe budget thank you!! Awesome, I'm so glad this worked out for you! Aww poor Paco. What kind of cone does he have? Back in the days when my dogs had to wear a cone they were those plastic ones and if you were wearing shorts when the dog walked by, ouch! I've had a few legs scratched that way! I see now they have inflatable ones and ones that are much softer! I thought of that about the shoes and think I'll mark each pair with a different color Sharpie somewhere, so I can be sure to keep them together. He has the same plastic cone and yes, we have leg bruises because of it. We tried the inflatable one but he could still get around it to chew on his foot. Too bad because it was nicer...might be OK for something around his chest (but hopefully we won't have to find out). If my favorites were on clearance like that, I'd buy them right up too! No shame! Mine are always so darn expensive because I run like Frankenstein. Also, I have a dog that is going on over three years in a cone. He won't stop chewing his front leg (vets, multiple, have runs tests, antibiotics, tried tea tree and bitters, prozac, switching foods, you name it.) It's great you have hope that you can get him out of it! OMG it's like we have twin dogs! It's pretty sad, isn't it? We are increasing Paco's Prozac dose to see if that will get him completely over the licking...fingers crossed.